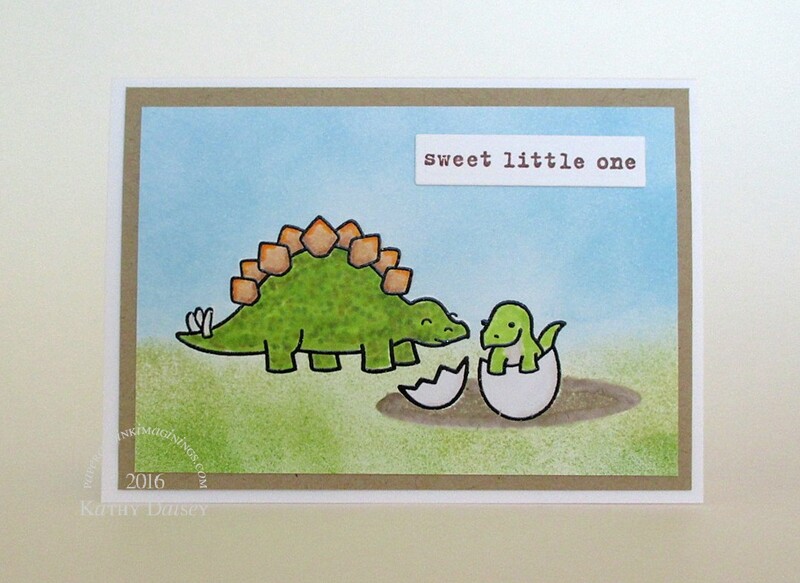 For this card, I built a little scene of stegosaurus Mom and baby. Masked both of them, and added the oval nest. Masked the nest, and blended the sky and grass. After removing the masks, I decided to use dots of Copics to color (and more blending) the stegosauruses – a natural camo. Supplies: Stamps – A Muse Artstamps, Lawn Fawn, Stampin’ Up!, paper – Neenah Classic Crest Solar White, Papertrey Ink Kraft, inks – Copic C00, E23, E53, G46, YG0000, YG03, YG25, YG95, YR0000, YR04, W1, Stampin’ Up! Crumb Cake, Tim Holtz/Ranger Mowed Lawn, Shabby Shutters, Tumbled Glass, VersaFine Onyx Black, Vintage Sepia, die – Spellbinders, embossing powder – Filigree Fine Art Powder clear. Categories: baby, card, new arrival, note | Tags: A Muse Artstamps, card, Copics, Lawn Fawn, Neenah, Papertrey Ink, Ranger, Spellbinders, Stampin' Up!, Tim Holtz, Tsukineko, VersaFine | Permalink. 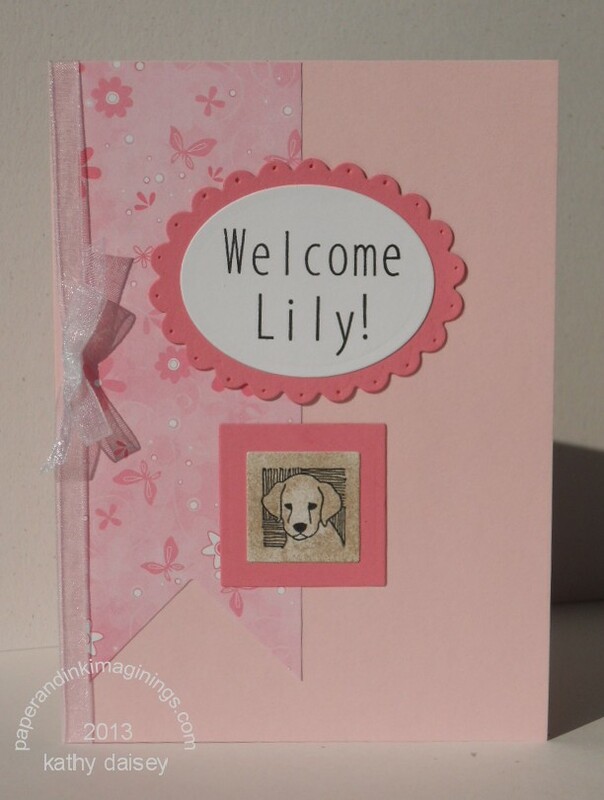 Blog hopping last week, I saw a few cards with diagonal stripes. I like any kind of stripes. But, I don’t have a diagonal cover plate die, or a stripe stamp that is wide enough for diagonal stripes on a card front. I don’t have to place my rectangle die parallel to my paint chip stripes! I can place the die diagonally on the paint chip! Yeah, really. I got that excited. And I do think in sound/media bites from cartoons, movies, TV shows, songs. Supplies: Stamps – Stampin’ Up!, paper – Behr/Home Depot paint chip, Neenah Classic Crest Solar White, Pop’Tone Sour Apple, inks – Copic E21, R81, RV11, VersaFine Onyx Black, dies – Lawn Fawn (stitched rectangle), Spellbinders (circles, rectangle), embossing powder – Filigree Fine Art Powder clear, organdy ribbon – Offray. 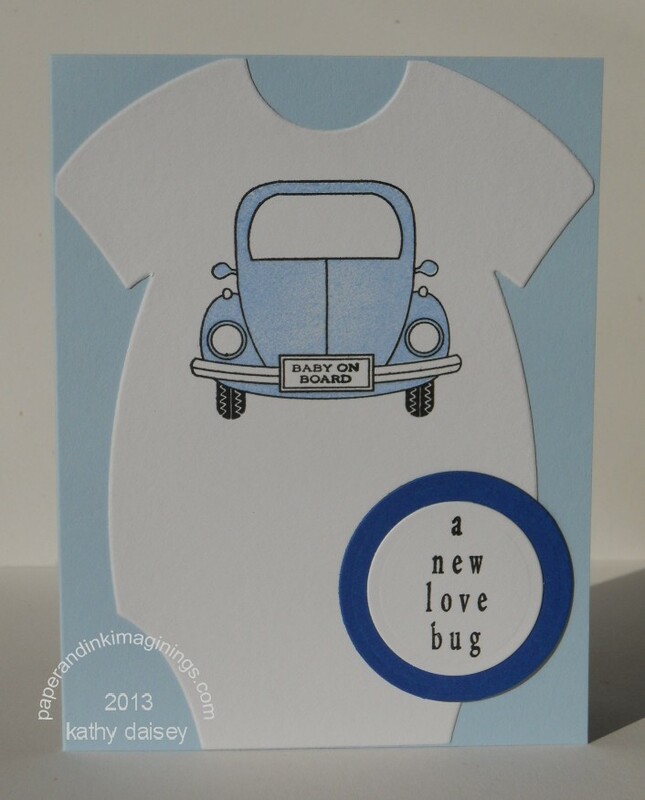 Categories: baby, card, new arrival, note | Tags: card, Copics, Lawn Fawn, Neenah, Offray, paint chip, Pop-Tone, Spellbinders, Stampin' Up!, Tsukineko, VersaFine | Permalink.